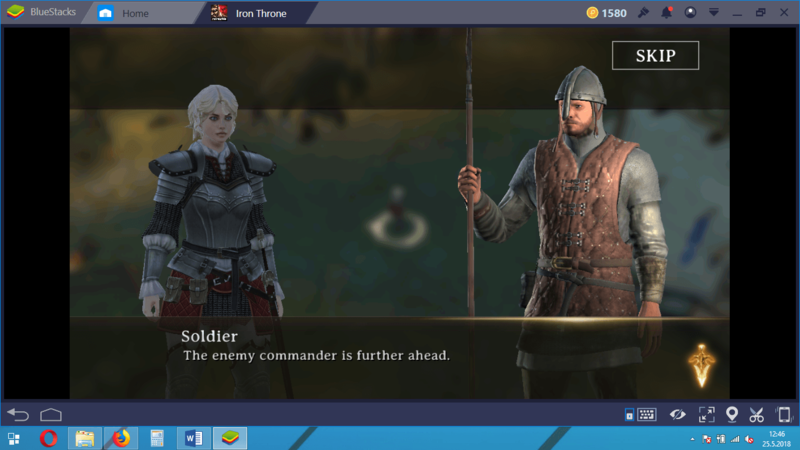 Download Iron Throne on BlueStacks Now! 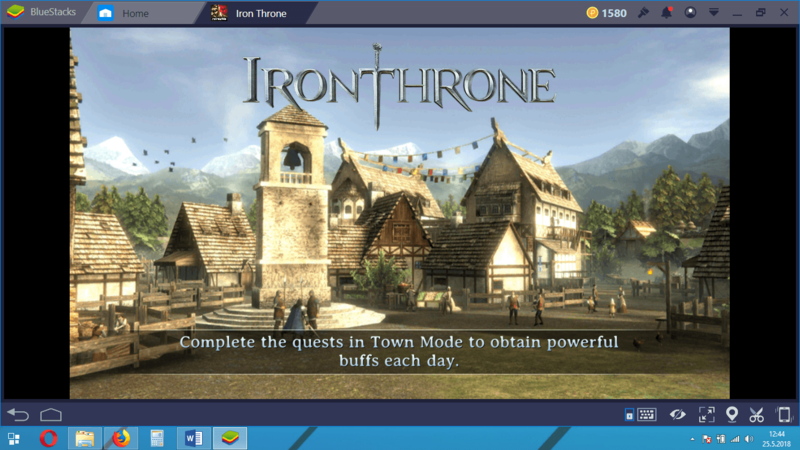 Town mode is one of the most innovative features Iron Throne has. 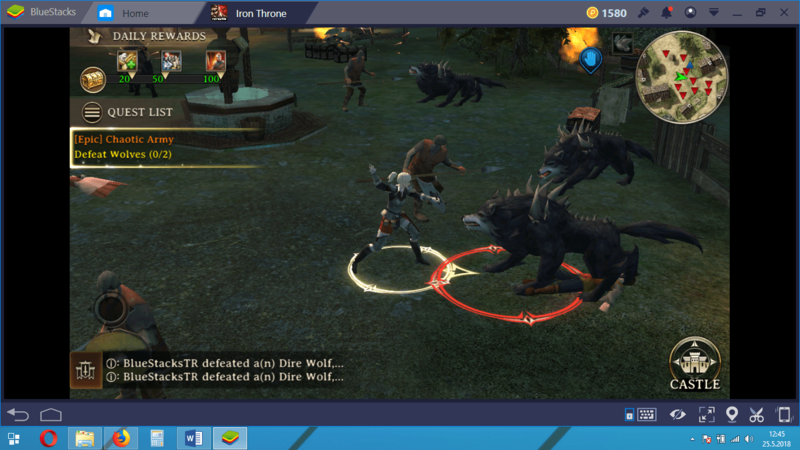 When you activate this mode, the game is turned into an ARPG. You can think of this mode as an additional feature that is independent of the main game: You are undertaking different tasks every day and trying to complete them. 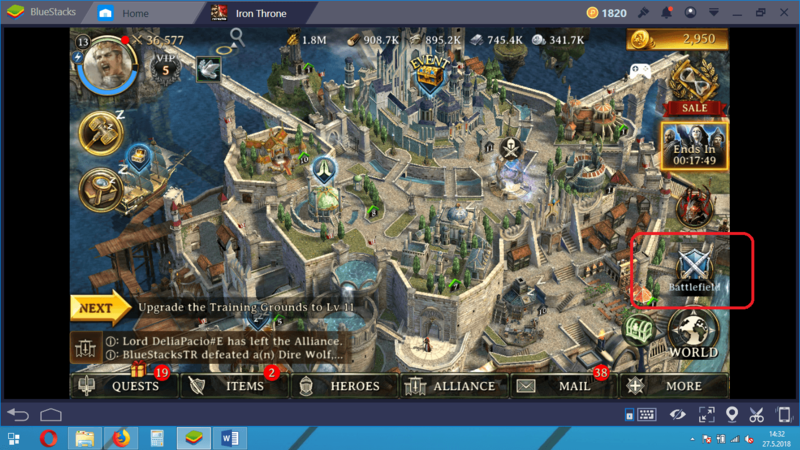 Town Mode is a feature you can use to learn the story of Iron Throne and win prizes that will help you in the main game. For this reason, it is important that you complete all tasks on a daily and regular basis. In this guide, we will tell you everything you want to know about the Town mode. In order to use this mode, you have to be level 8 first. When you reach this level, the game will ask you if you want to install the Town mode package. You need to download a file that is about 60 MB in size. This file will be installed automatically after it is downloaded. To launch the mode, click on the battlefield button on the main screen. 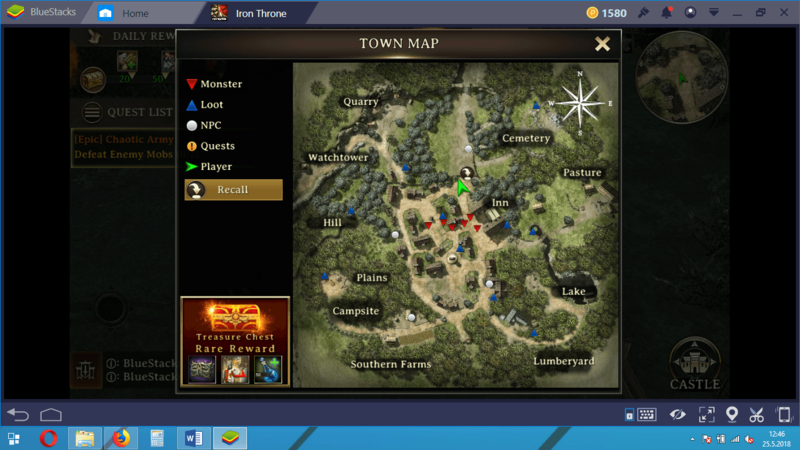 From the menu that appears, select “Town Mode” at the far right and start the mode. After a short loading screen, the mode will be loaded. If you have not played an ARPG before, you might be surprised at first glance. Because you are playing this mode in an isometric point of view and you need to control your hero “manually”. Initially, a short dialogue will begin to provide you with an introduction to the story of the game. You can pass all the dialogs in this mode by pressing the “skip” button in the upper right corner. However, we do not recommend doing this: Iron Throne has an impressive story and the only way to learn it is to read these dialogues. Your aim in this mode is to fight against monsters occupying the town and helping its residents by completing non-combat tasks. Most of the time you’ll be killing monsters, but sometimes you will be solving a murder and even collecting herbal plants. 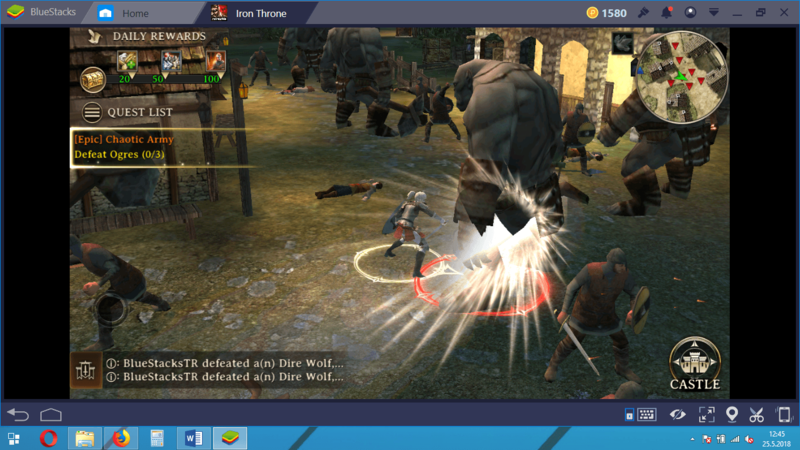 You can see all the features of an ARPG game in Town Mode: Perform simple tasks, kill monsters, and earn experience points & loot. If you have no idea what to do after the first dialogue is complete, do not worry: See the quest list in the upper left corner? What you need to do is shown on this list. For example, if it says “kill 3 wolves”, this is your next goal. After completing a task, you will automatically receive a new one. By clicking on the ground, you can direct your hero as you wish. However, if you do not want to lose time, you can click on the task directly to automatically send your hero to the task area. If you do not want to explore the town, you can save time by doing this. Nevertheless, we recommend that you give a chance to manual controls: There are some small surprises to explore in the town, and if you walk around enough, you can even find loot boxes. In other words, Town mode rewards players who want to explore. Your hero will attack monsters and perform other tasks automatically, you do not need to use any skill. 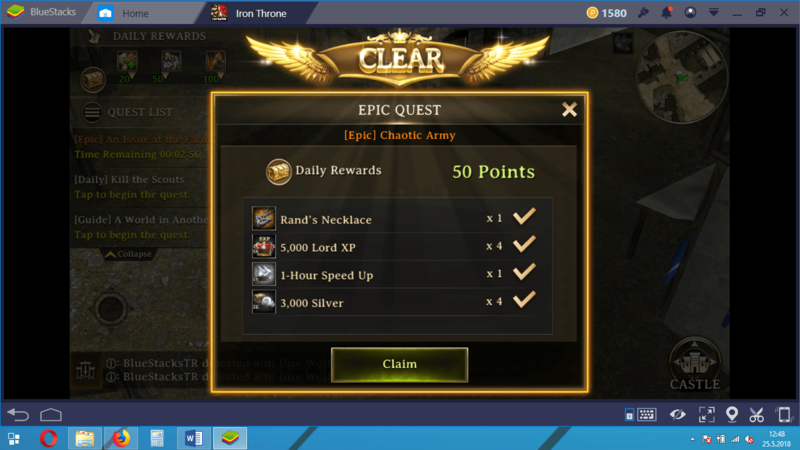 After completing the tasks, you will get various rewards, including but not limited to buffs and XP points. The tasks/quests you can complete every day have a limit. Once you reach this limit, you must wait for a certain amount of time to continue playing the mode. The important point here is that you can continue where you left off. So Town mode is not a story that starts all over again: You continue from where you left off. In this regard, the story is constantly advancing and you are starting to wonder what will happen after a while. As we have pointed out above, Town mode gives you an astonishingly immersive story and a feeling of being part of the game world. 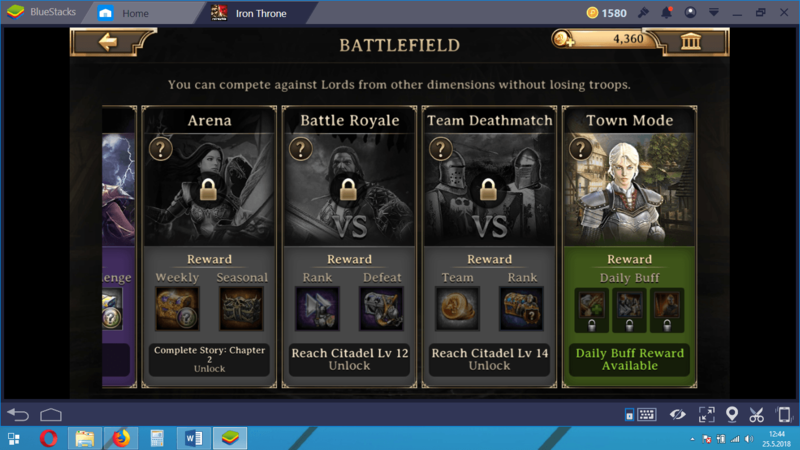 After your daily tasks are finished, you can return to the main game screen by clicking the “Castle” button in the bottom right corner. So, what do you get by playing the Town mode? There are two important types of prizes you can get with this mode: XP points and buffs. XP points will level up your hero. In fact, Town mode is one of the easiest ways to get the XP points: You can level up your hero without risking any troops or resources. However, the important prize is the buffs here. Iron Throne buffs can provide a great advantage to a player who knows how to use them. 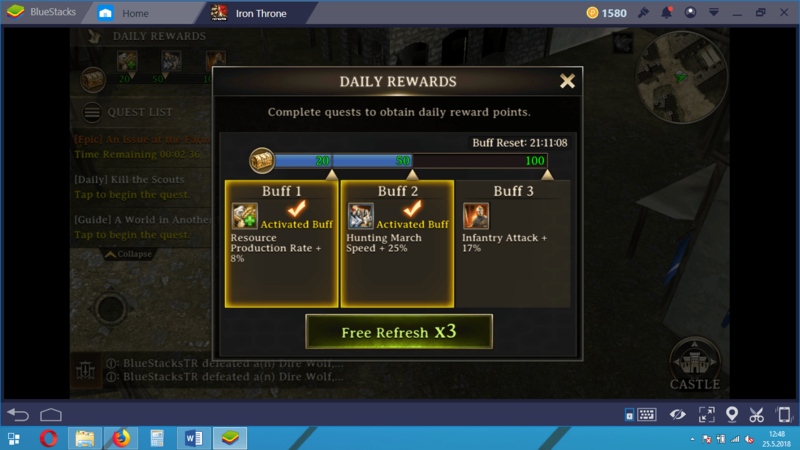 The free buffs in the game are very limited and you often have to use real money to get the new ones. However, you can continue to earn them free of charge by completing Town mode quests. Each time you get a different buff. For example, you can get a speed buff one day, and you may win another buff that will increase your army power by 20% the next day. In any case, especially before entering battles, these buffs will give you a serious advantage. A buff that reduces your opponent’s defenses by 20% and increases your strength can help you win even the toughest battles. 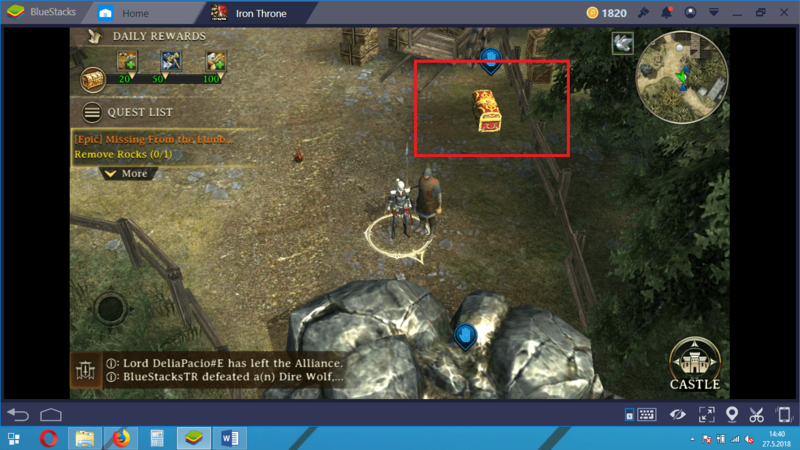 Iron Throne is a conquest game with unique features and Town mode is one of the most remarkable one. You can improve both your heroes and your kingdom by completing the Town quests every day. We encourage you to check out our other guides to learn more about Iron Throne: In particular, our Battle guide will give you tips on how to use the buffs you get. Remember that the more efficiently you use the features the game offers you, the sooner you sit in the iron throne.